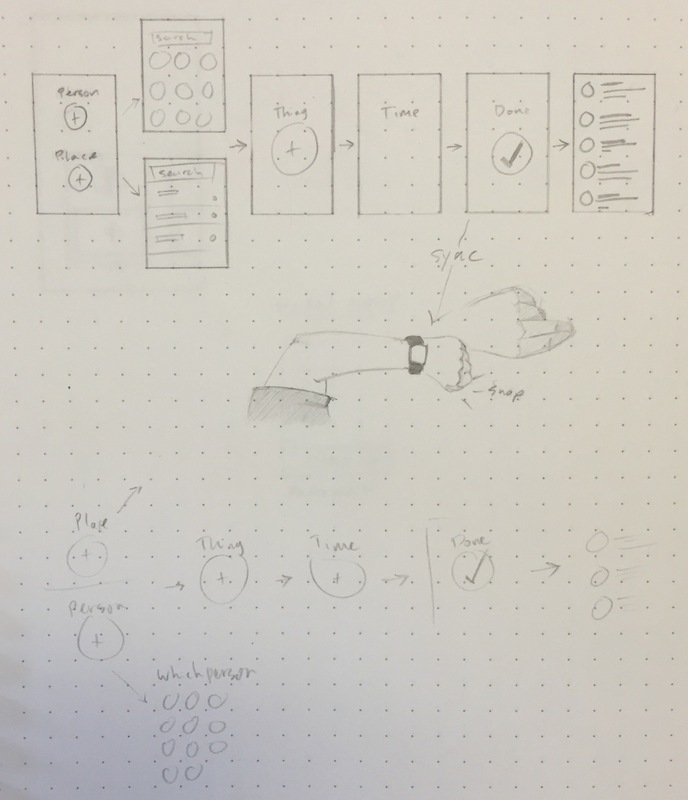 My friend had a simple idea for a watch app; snap your fingers, and it will trigger something you pick. Once someone tells me an idea, I immediately start brainstorming. This is my sketch of an app flow. I even contacted an Apple WatchOS developer and unfortunately, this capability isn't possible with the first version of the Apple Watch.